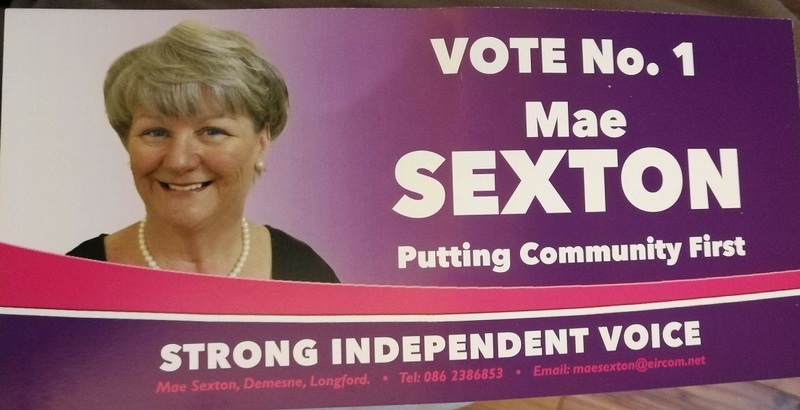 A Leaflet from Mae Sexton who is running as an Independent in Longford LEA. 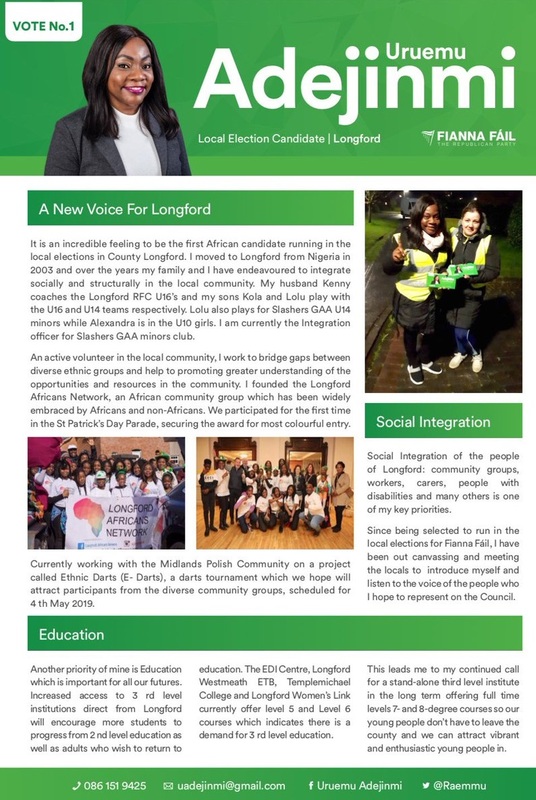 A Leaflet from Brigid Duffy who is running for Fianna Fáil in the Ballymahon LEA for a seat on Longford County Council. 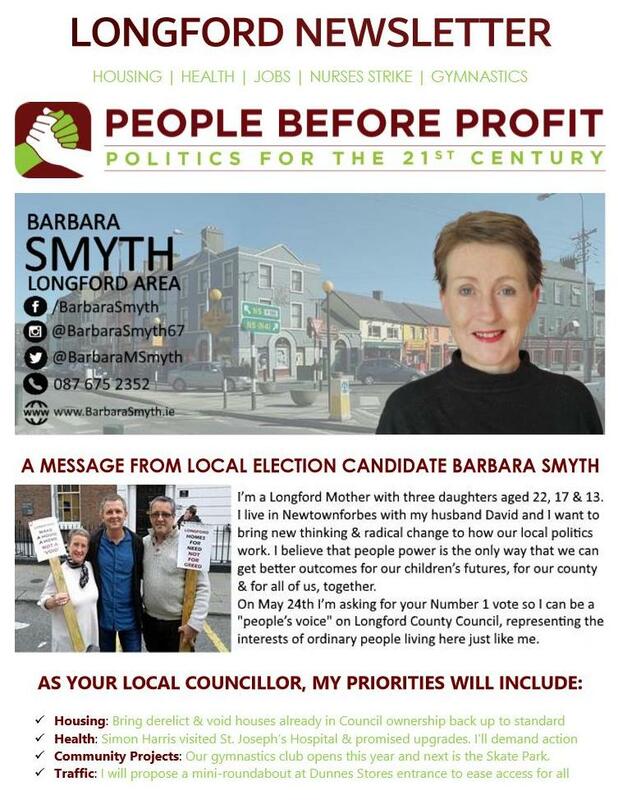 A leaflet from Barbara Smyth who is running for People Before Profit in Longford in the 2019 Local Elections. 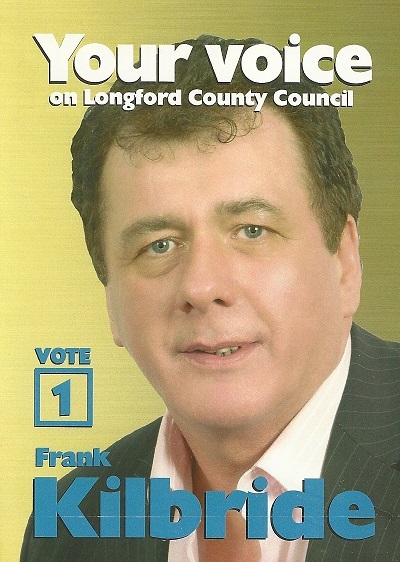 A leaflet from Frank Kilbride who is running for Fine Gael in Granard for a seat on Longford County Council. 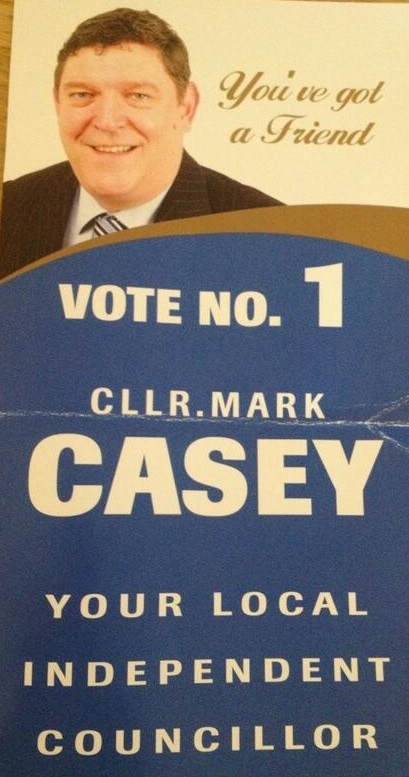 “You’ve got a Friend” a lovely slogan from Mark Casey who is running as an Independent in Ballymahon for a seat on Longford County Council.